Armenia is often called the “cradle of Christianity”. And that is no just an accident: Armenians are the first nation in the world to adopt Christianity as a state religion in 301, building and developing their traditions and culture based on Christian morality. 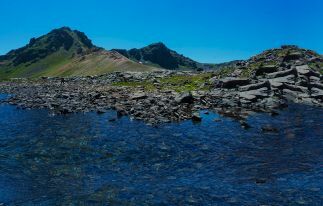 Armenian land is a kind of sanctuary for almost every believer as here one can find spiritual harmony and understand the mysterious spirit of this great nation which found its own stars through all the thorns, torments, and anguish that befell these long-suffering people, purified and became closer to the God. 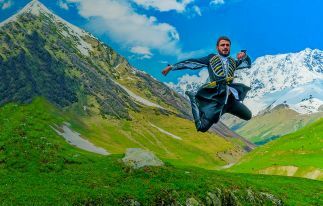 The proof of this are numerous temples, churches, and monasteries from time immemorial, built on inaccessible mountain tops, like indestructible monuments, silently narrating about the unique relationship of God with this holy land. 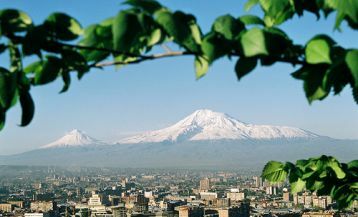 Learn more about the Christian traditions of Armenia by choosing our Christian Tour in Armenia. 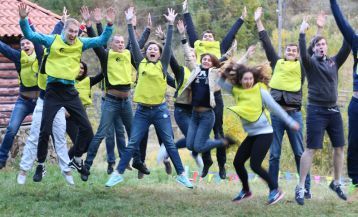 And today in this article, we invite you to read about the sacrament of baptism in Armenia – a country chosen by the God. The Armenian Apostolic Church has preserved the original form of baptism bases taken from their ancestors. The process of baptism is taken seriously. Traditionally, parents initially choose the godfather for the child. Blood relatives according to the tradition can’t become godparents. Typically, the role of the godfather is inherited from generation to generation: it symbolizes the relationship of two families linked by holy bonds. Godparents should be concerned about the spiritual education of children, guiding them to the faith. In Armenia, the adoption of the role of the godfather is considered to be a privilege and a reason for pride, as not every person can achieve the happiness of this sacred privilege. Onwards the godfather traditionally is getting ready for the ceremony: buys gold crosses, which are strung on a special red and white thread, embodying the holy blood and water from the body of Christ; two candles and new towels. The church for the ritual is also chosen very carefully. Of course, the christening ceremony can be performed in any of the Armenian Apostolic Church, however Armenians are fond of conducting wedding and christening ceremonies in the ancient churches, for example, in Gegard monastery complex, in Tatev, in Echmiadzin or Khor Virap – in fact truly ancient walls of the monasteries fill the sacrament with even greater solemnity and meaningfulness. And here it begins the most important part of the ritual. The Holy Father asks the Godfather for three times “What is this child willing?” The Godfather answers for three times: “Faith, hope, love, and baptism. To be christened and justified, to get cleansed of sin, get rid of the demons, and serve the God “(Mashtots, The Holy Baptism Rules). Further on the priest performs the rite of baptism. 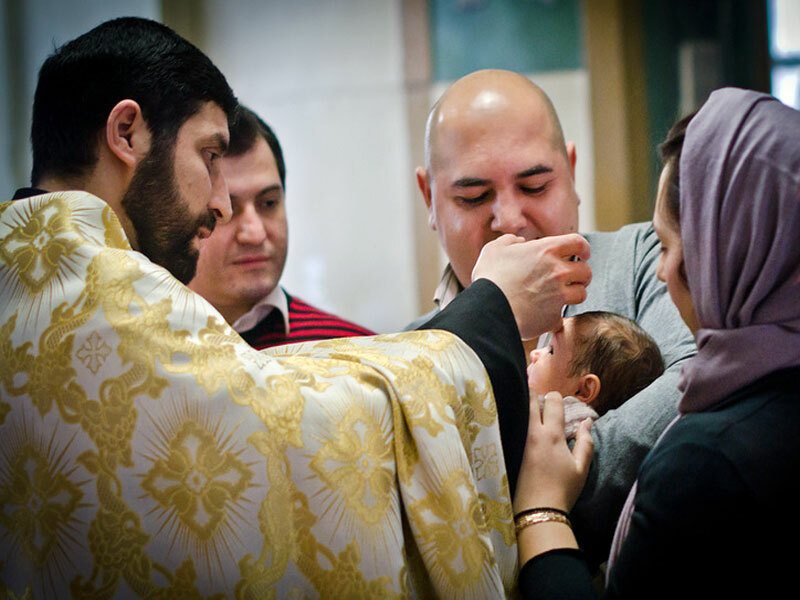 After reading the prayer, the priest immerses the baby’s body into the holy water for three times, and in case of adults and children sprinkles for three times with holy water their head and conducts ablution of the face and body parts. Triple immersion into the holy water symbolizes the death, burial and resurrection of Christ. 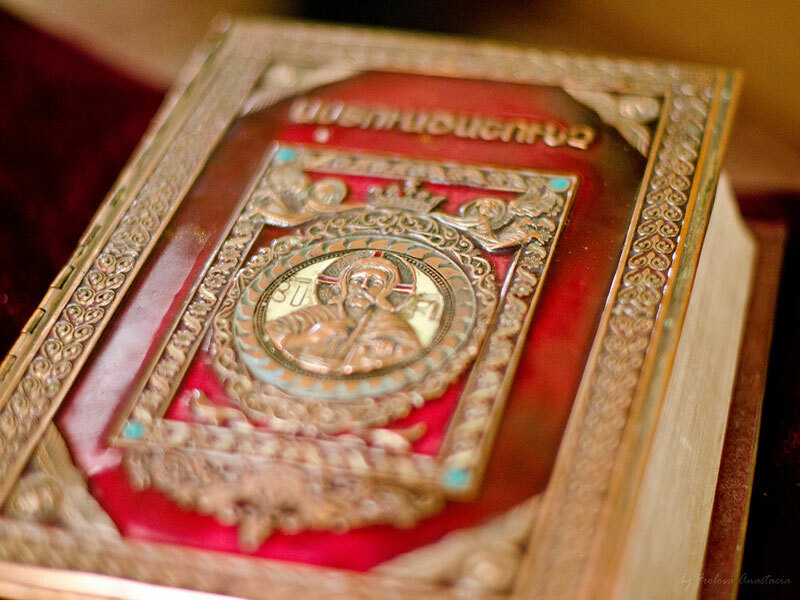 Right after the baptism sacrament is conducted the sacrament of Chrismation called “droshm” meaning print or seal in Armenian. The priest in the name of Christ and the Holy Spirit sprinkles with the holy muron 13 body parts to enhance the spirit and bestow every part of the body with the grace of the Holy Spirit. And finally the third and final ritual - the sacrament of Holy Communion during which the believer partakes in the form of bread and wine the very body and blood of Christ for eternal life. Before the sacrament of Holy Communion, every believer must purify his thoughts and soul through repentance and remission of sins. After all the religious rites comes the celebration of christening and not less festive than a celebration of wedding or birthday. 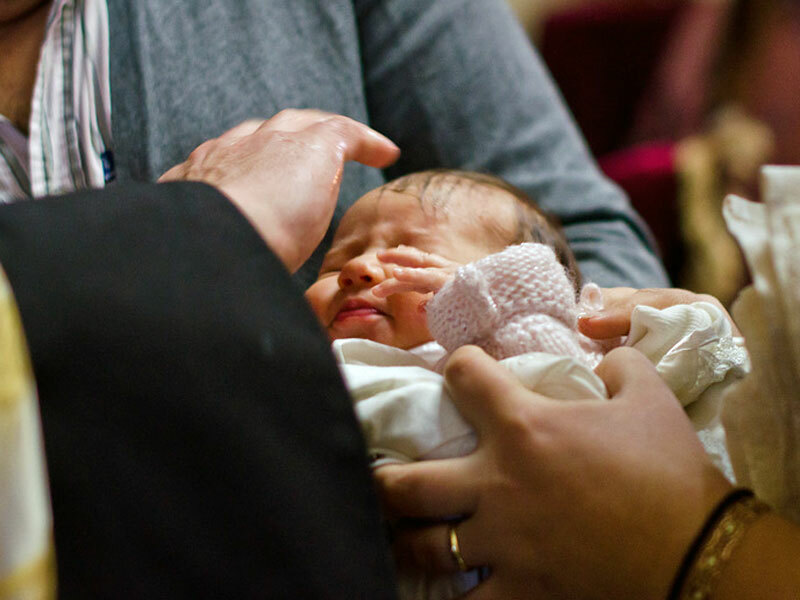 In fact, after the christening, the person seems to be spiritually reborn, as the grace of God descends upon him, and he begins to treat religion in a more meaningful way. In this article, we have tried to present the ordinance of baptism according to the traditions of the Armenian Apostolic Church. 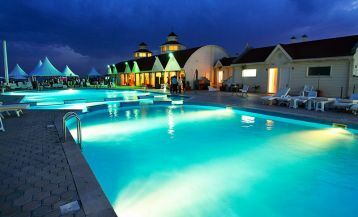 If you want to commune with God, with religion, to find spiritual harmony – welcome to Armenia – the Noah’s Land! 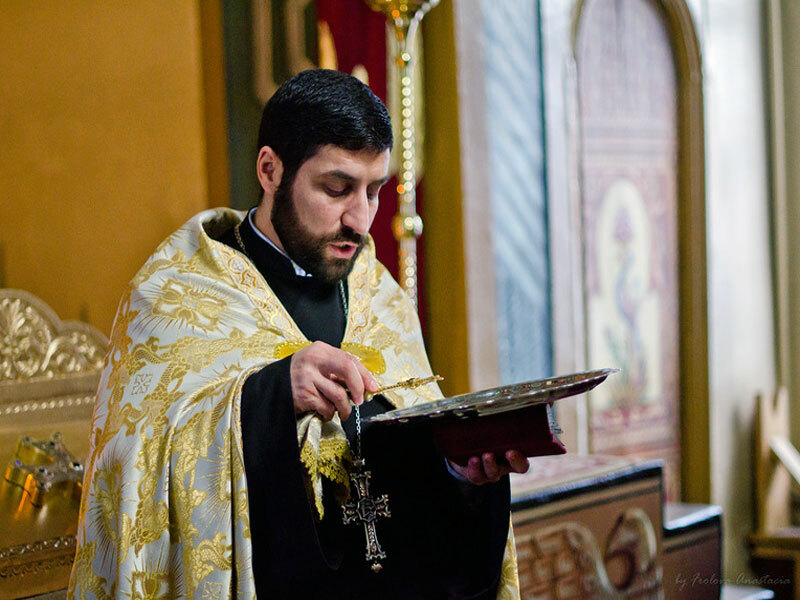 If you wish to be baptized in Armenia, just contact us, and we will organize everything at the highest level!